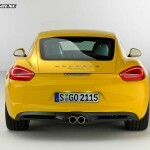 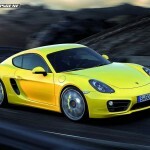 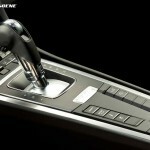 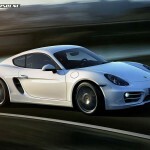 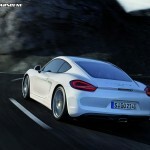 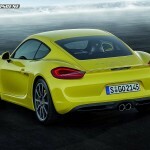 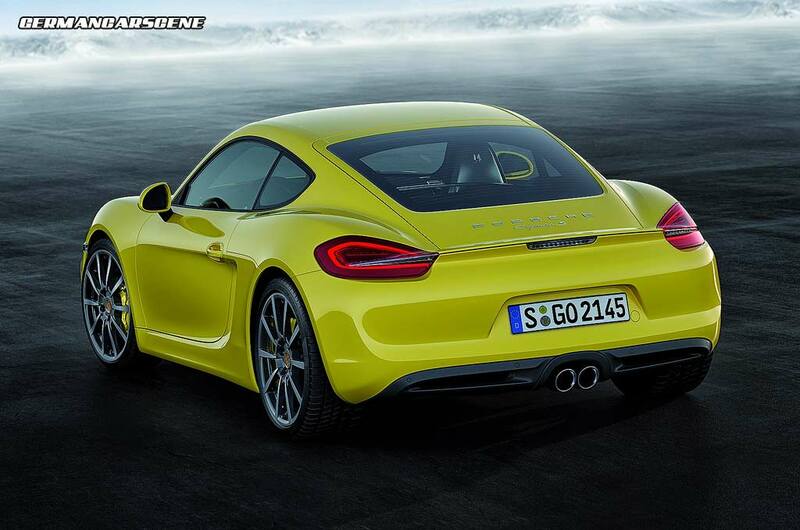 Here are the first official images of Porsche’s Cayman model ahead of its world début in Los Angeles later today. 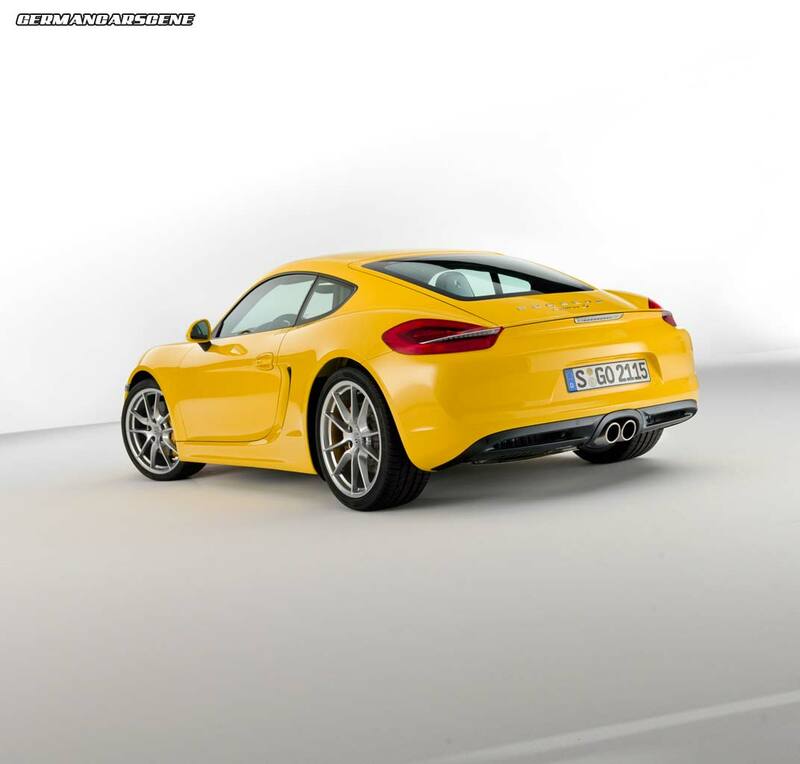 Apart from the obvious metal roof, the Cayman is virtually identical to its Boxster sibling, including those sculpted flanks and the double tailpipes helping to mark out the S version. 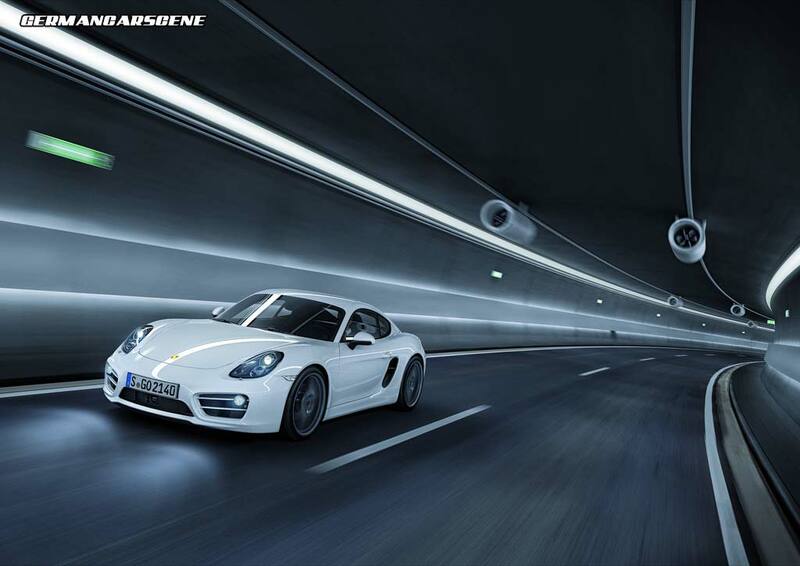 The main difference is the Cayman’s front fascia, which features more aggressive air intakes and round daytime running lights, rather than LED strips. 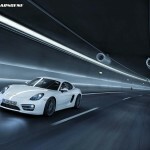 As with the Boxster, the Cayman will be available with a six-speed manual gearbox as standard or the seven-speed PDK as an option. 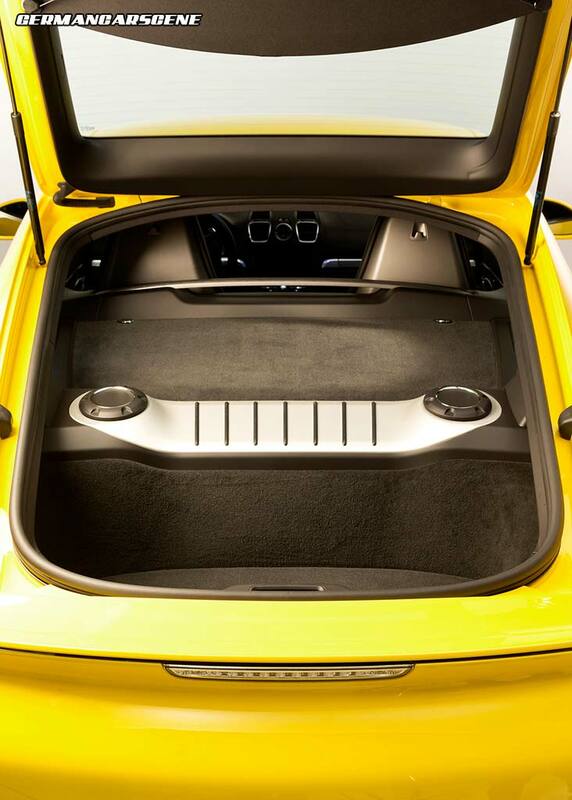 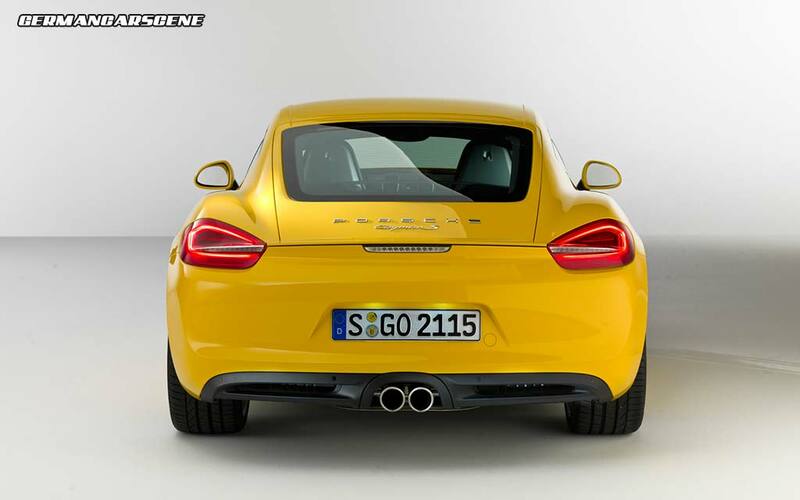 The base model uses a 2.7-litre flat-six which develops 202 kW (275 hp) and 290 Nm of torque – enough for a 5.7 second 0-100 km/h time (PDK 5.6s) and top speed of 266 km/h, with PDK 264 km/h. 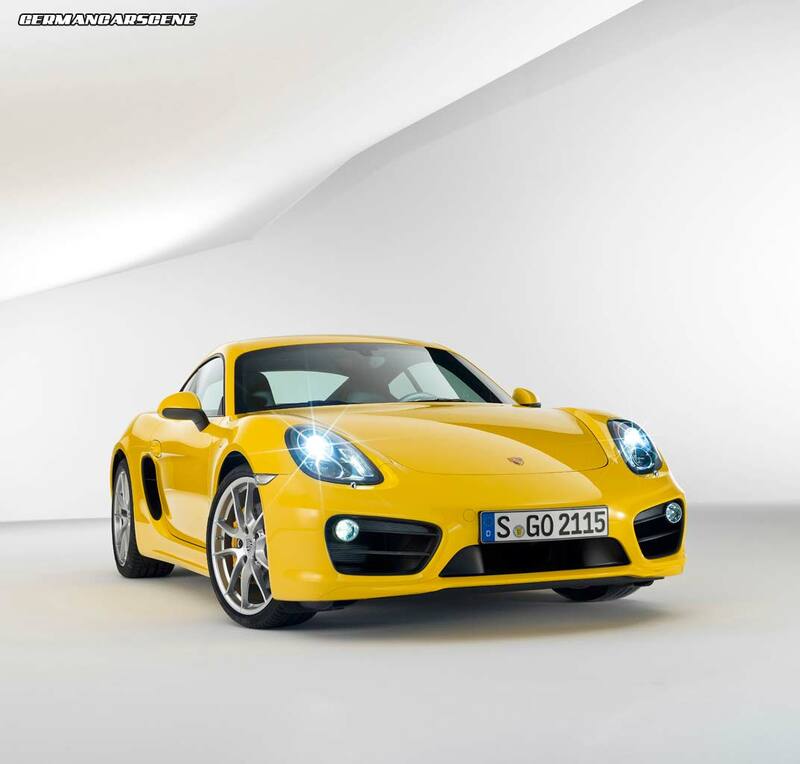 Moving up the scale, the Cayman S is powered by a 3.4-litre engine producing 239 kW (325 hp) and 370 Nm; good for a 5.0 s sprint to 100 km/h (PDK 4.9 s) and 283 km/h or 281 km/h. 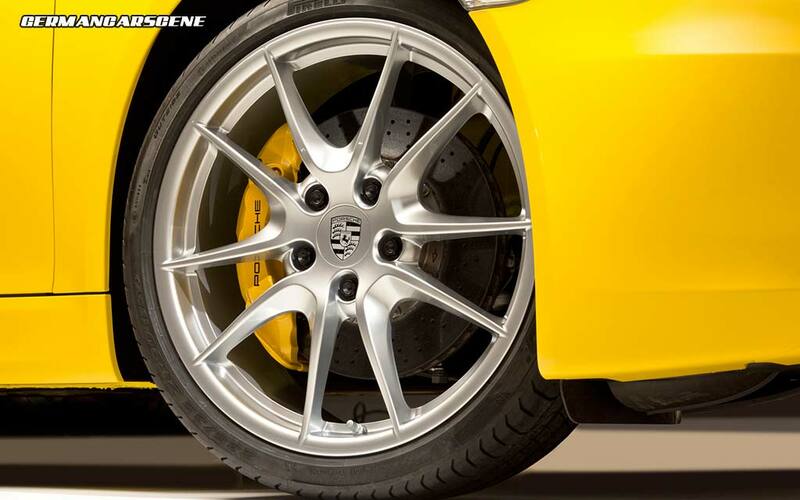 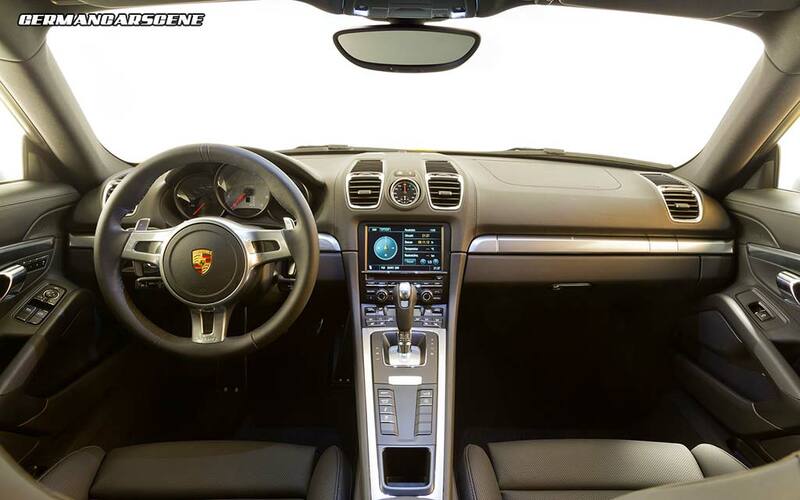 The optional Sport Chrono package shaves 0.2s from both car’s times. 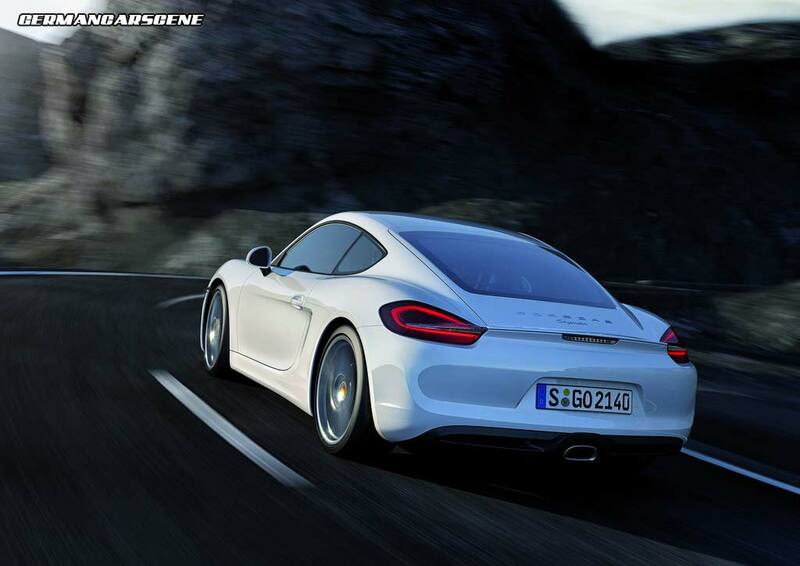 Thanks to its lightweight construction, the 981 is up to 30 percent lighter than its predecessor, meaning the entry-level model can consume and average of 8.2 litres every 100 kilometres (PDK 7.7 l/100 km) with the S returning figures of 8.8 l/100 km and 8.0 l/100 km. 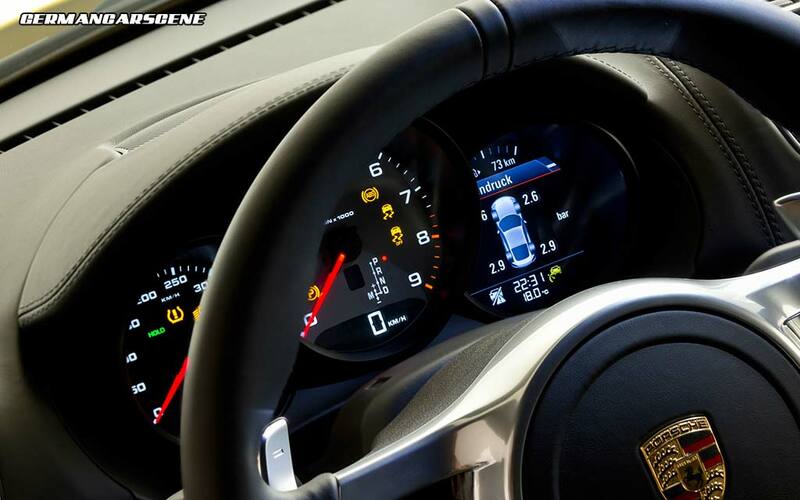 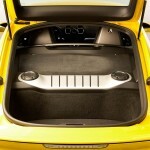 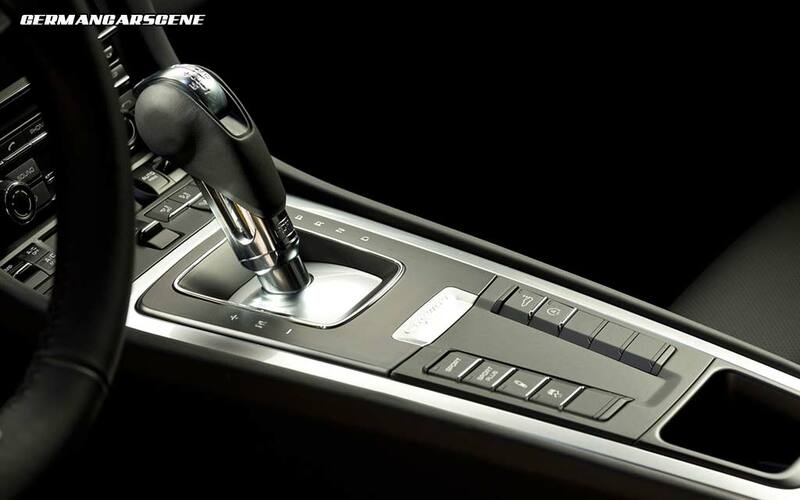 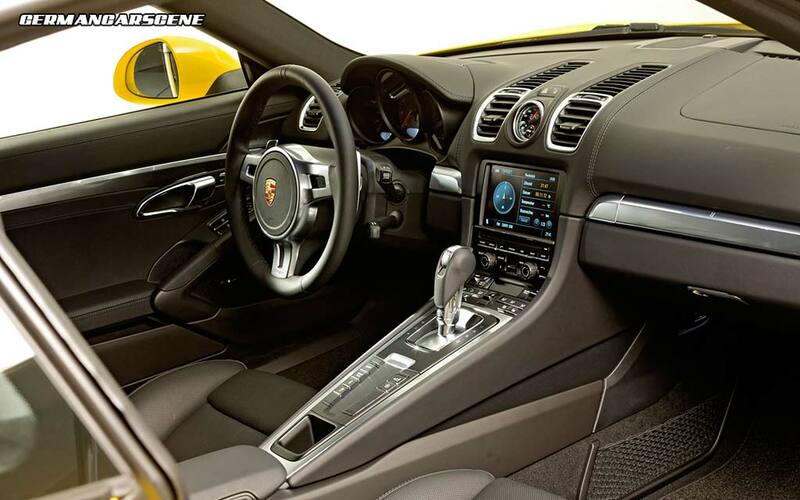 An auto start/stop function comes as standard, as do 18 and 19-inch alloys, a Sport button providing a sharper engine response, air-conditioning and auto headlights, while optional extras include a Burmester sound system, Adaptive Cruise Control, keyless entry, 20-inch 911 wheels and Porsche’s high-performance ceramic composite brake system with 350 mm discs all round. 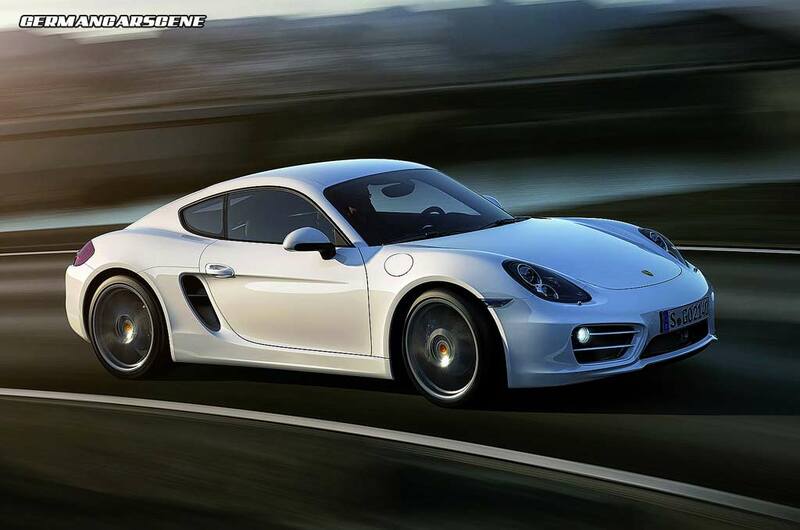 The order book is open now, with deliveries starting next March. 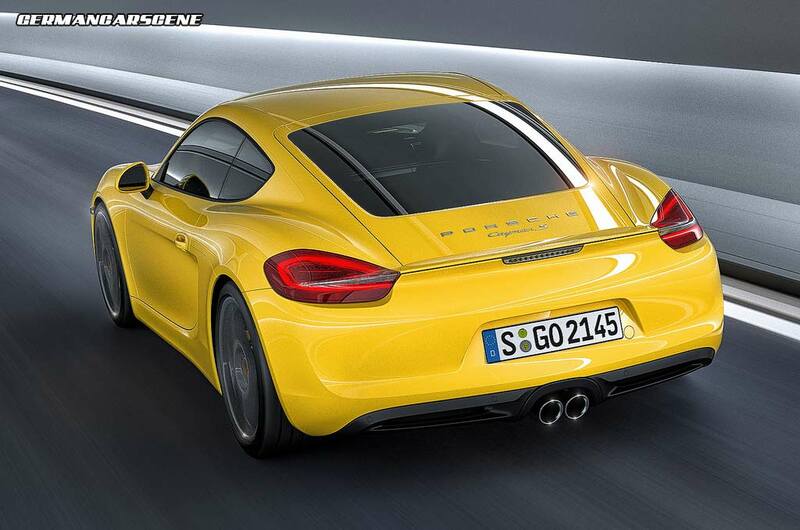 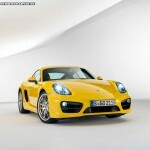 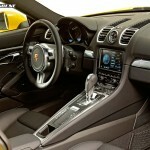 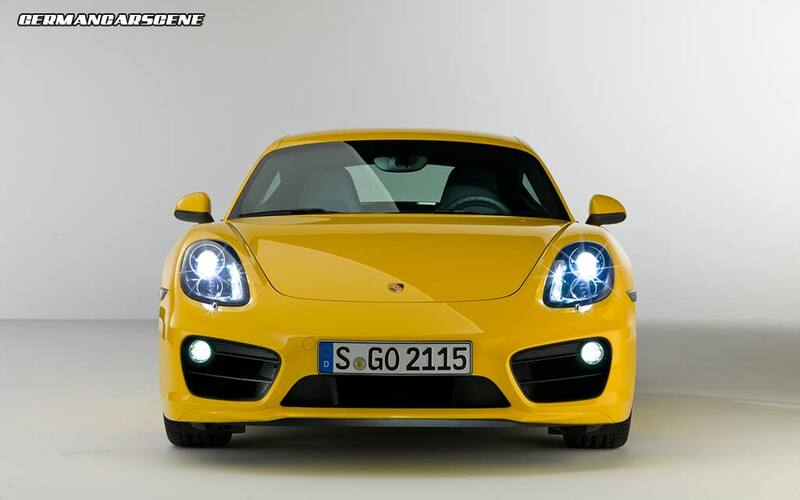 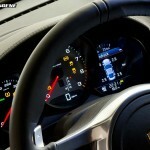 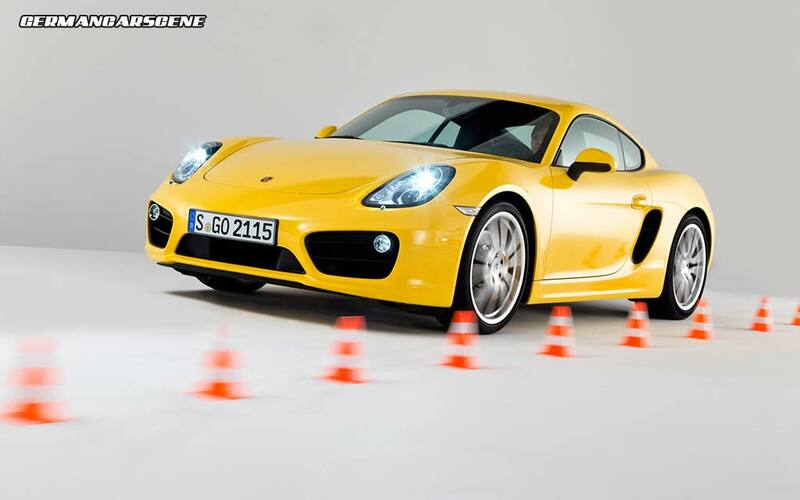 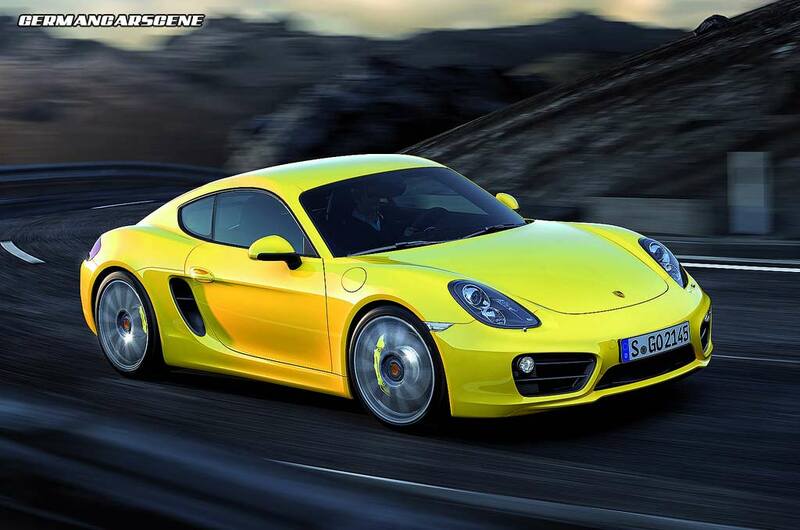 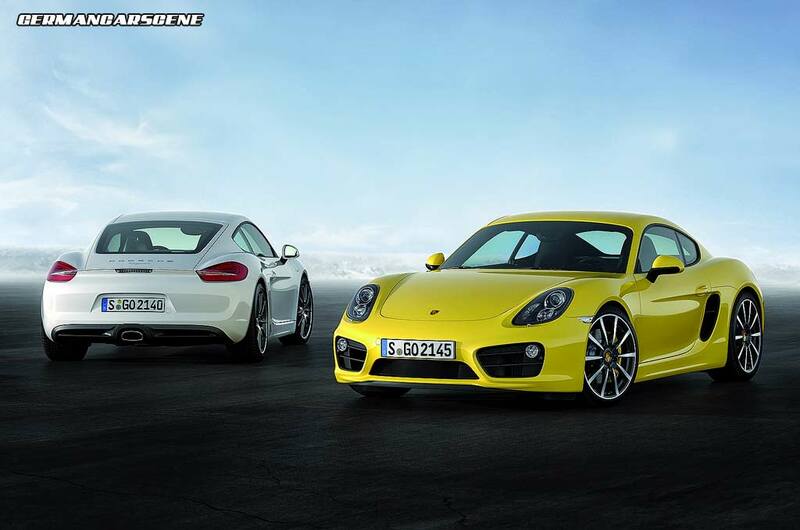 Pricing begins at €67,000 for the manual Cayman (PDK €68,200) and €81,800 for the manual Cayman S (PDK €82,100).